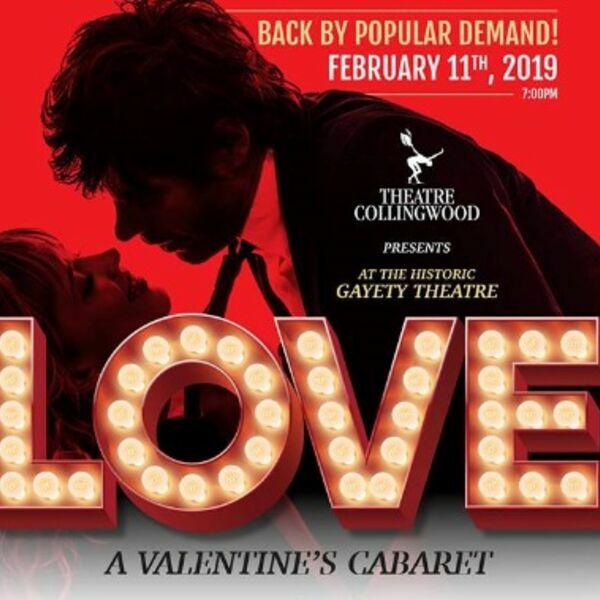 Celebrate the month of love with Canada’s top theatre performers in “Love – A Valentine’s Cabaret” produced by Erica Angus and Theatre Collingwood scheduled Monday, February 11th at 7:00 p.m. at Collingwood’s Historic Gayety Theatre. Enjoy an evening of entertainment where sixteen outstanding performers will take the stage. This also marks the 5th anniversary of the popular fundraiser for Theatre Collingwood with their Red Carpet VIP Tickets which includes great seats at the show and an opportunity to celebrate with the performers at their After-Party featuring hors-d’oeuvres and a beverage ticket at Collingwood’s hottest new restaurant Prime Seven Nine. Joining Dianna via phone is producer and executive director of Theatre Collingwood, Erica Angus. Erica will share the upcoming first production of the year and what you can anticipate. For Red Carpet VIP tickets call 705-445-2200 or visit the box office at 115 Hurontario Street. Tickets are also available online at theatrecollingwood.ca.